As we believe that a tight, friendly, and supportive network is an essential building block for a young company, we constantly try to foster networking and knowledge exchange in and among our networks. 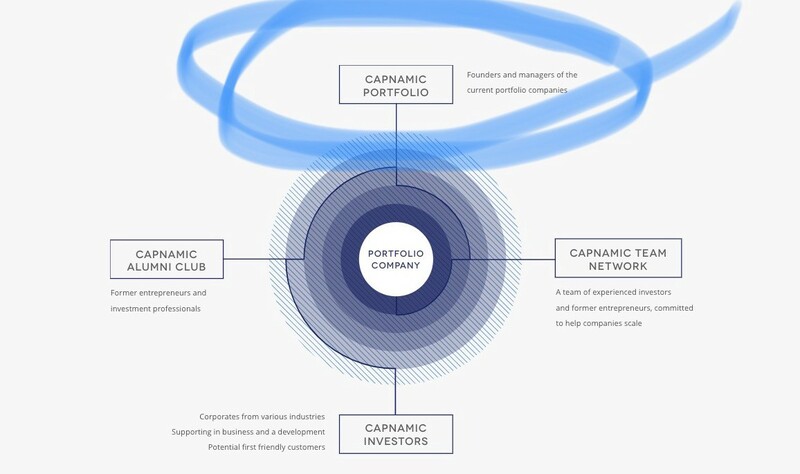 One of the most important networks is the connection between our 25+ active companies. Our portfolio includes companies with 5 to 350 employees, from 1 to 14 offices, from 1 to several thousand customers. No matter if two companies are similar or different with regard to the mentioned characteristics (and / or others) — there are always topics to learn from each other. Be it answers to questions like “from when do I need a head of sales?” or “should content marketing be an in-house capability?” or simply tips that prevent a company from making known mistakes again — usually our portfolio companies can always help each other. Furthermore, it is not uncommon for companies with the same customer focus to be able to exchange valuable information and / or put intros to their respective customers. Even if all team members of our portfolio companies are always very accessible, we try to strengthen the networking by workshops with different focuses (e.g. Finance, HR, Marketing, M&A, R&D, Sales). To meet in real life connects. Brand Building: How to build a strong brand early on? Marketing Organization & Operations: Which marketing organization / processes do I need for which a) stage and b) goal? Marketing Automation: How to use tools to save time for important tasks like e.g. creating distinguishing creatives? 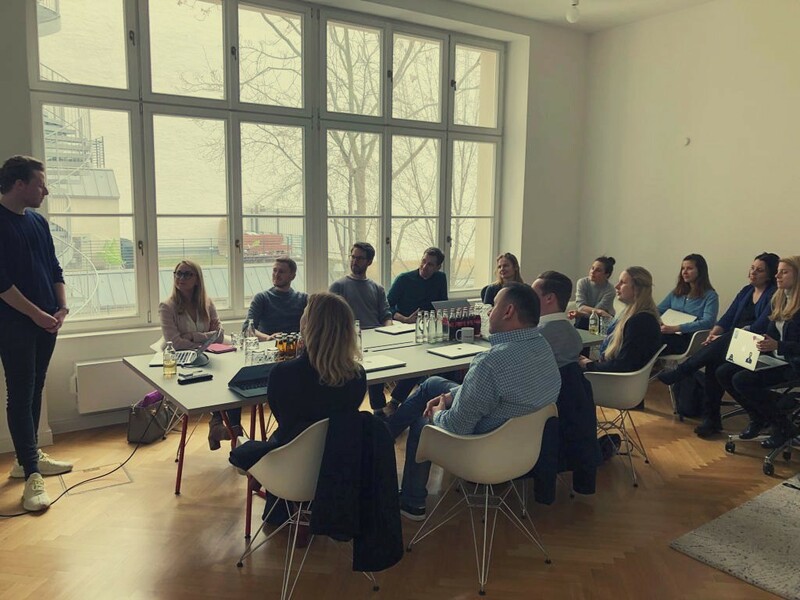 Afternoon session at our Berlin office. 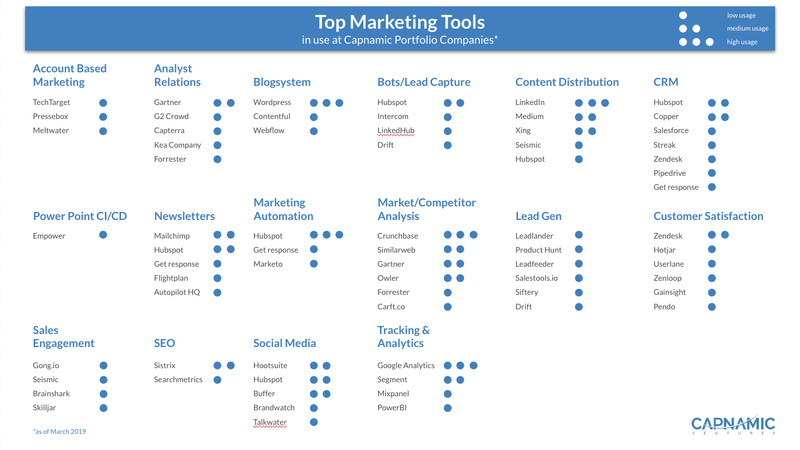 During the workshop we also created an overview of marketing tools and their usage across the Capnamic portfolio that we are happy to share below (note: not complete).